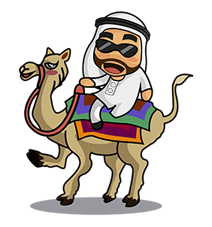 http://www.line-stickers.com/ – gulf_quirky Line Sticker | Have you heard of the funny, weird, awesome, cool, strange, beautiful, unique, smart, and amazing place?! gulf_quirky stickers are a must have for every quirky person! Available till May 31, 2015. Previous post Life in Qatar is Sweet!